Touch sensitive buttons light up subtly when active, lossless aptX Bluetooth provide the best wireless connection possible for enjoying all kinds of streaming media. 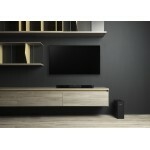 An integrated display shows everything about the soundbar state. Wall mounting is simple with recessed connectors, vibration damping rubber mounting pads and a mounting kit is included, along with optical and AUX cables. 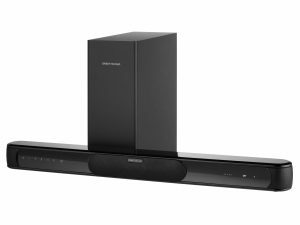 The high quality remote control allows full control of all the soundbar features. For even more convenient remote control of volume, the A70 has the ability to learn your TV remote for easy volume adjustment.